BEVA has defended the work equine vets do to safeguard horse welfare, stating “profit must not be confused with a lack of passion”. The call came after a session titled “Are vets failing our horses?” took place at the BVA Animal Welfare Foundation Discussion Forum in London. Opening the session, chief executive of World Horse Welfare and qualified vet Roly Owers said while he felt the overall answer was “no”, practitioners “could be doing a lot better in many areas”, such as weight management and breeding. Following Major Owers’ presentation, he was asked whether horse trainers having more responsibility for veterinary care was an example of vets seeking commercial gain above their welfare commitment. He said this could be true “in some cases”. Major Owers insisted, however, that vets’ loyalty was to the animals they cared for. In response to the discussions, BEVA senior vice-president Mark Bowen admitted while quantifying quality of life in horses was something the profession was only beginning to address, the “massive” contribution it made to equine welfare should be recognised before it got “pilloried” for its role. Vicki Nicholls, BEVA President said: “BEVA are rightly proud of the work that equine vets do on a daily basis to safeguard the welfare of both horses owned by clients and those horses where ownership is unknown. On entering this honoured profession vets swear an oath to “ensure the health and welfare of animals committed to my care” and we are proud that our members endeavour to prioritise the welfare of these majestic animals all day, every day. 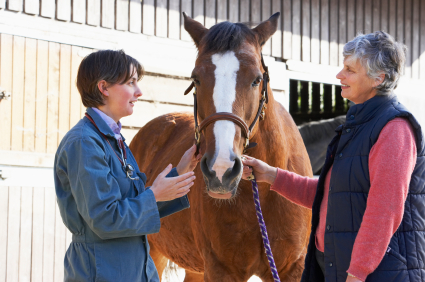 Equine vets do this through the management and surveillance of disease, education of both vets and owners and driving research, in addition to diverse roles across the equine sector including equine charities, governance, industry and sport. They volunteer to undertake pro bono work to uphold veterinary care through the UK and beyond through charities such as the BEVA Trust. On a daily basis equine vets promote equine welfare despite the real risks of injury and the constant threat of mental health disease. BEVA is proud of its members for their considerable and continuous contribution to equine welfare.